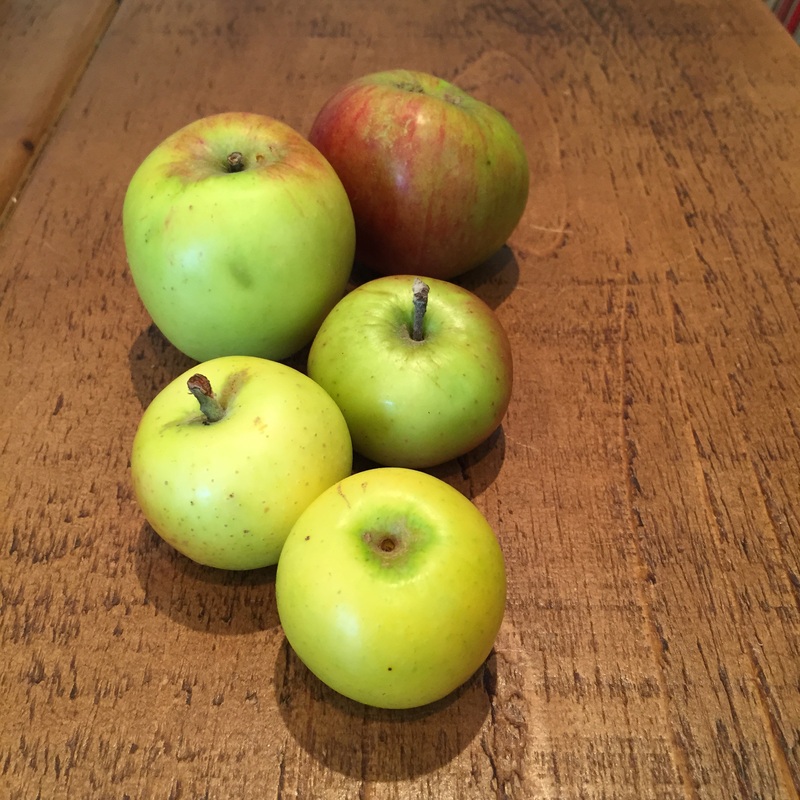 It’s that time of year when the first apples are juicy and fresh, from Howgates Wonder to Ribston Pippin, Fiesta to Suntan, this time of year is the start of the annual harvest. I had a visit to the beautiful walled kitchen garden at Clumber Park the other day. 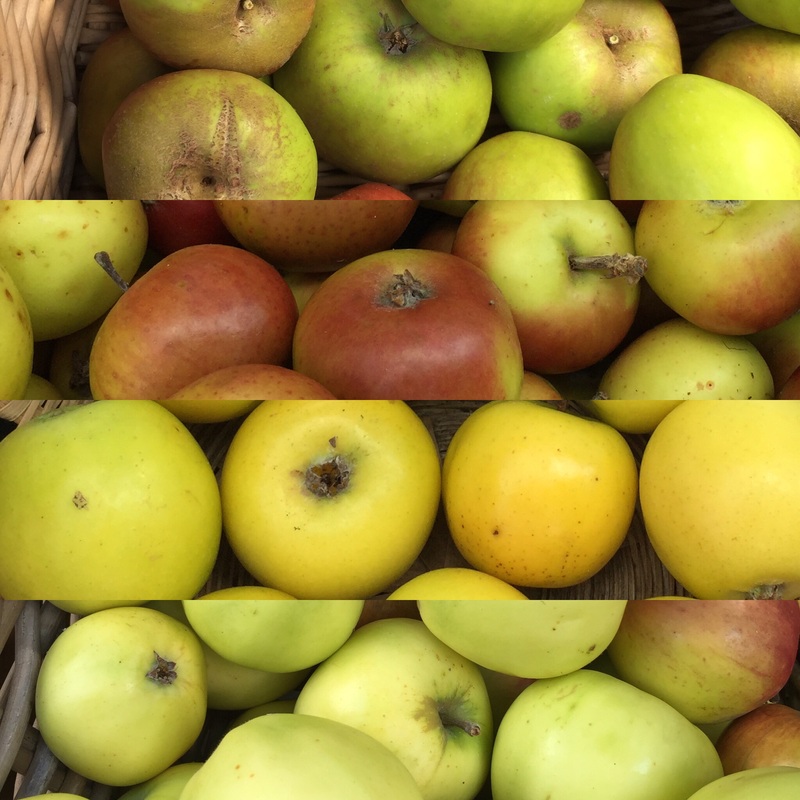 They have an orchard full of all sorts of apples, from teeny yellow ones, to whopping green monsters, all available for the public to buy on their Apple weekend on 10/11 October. I returned home with paper bags crammed full of all sorts of apples, I was particularly excited that I’d managed to get a bag of Ribston Pippin, as I have one of these on the allotment trained against the fence. Temptation got the better of me and I had to try one when I got home, they’re lovely and crisp, juicy and firm, with a hint of acidity and sweetness which I love. I’m not a fan of the floury, softer apples, I use them for cooking rather than munching on! Having decided I’d bought too many apples to eat fresh, I started thinking about what I could make with them. I always make apple and sage sauce to freeze for those lovely roast pork Sunday dinners in the middle of winter, and I didn’t fancy the apple cake I usually make. This got me thinking what I could make with them. I wanted something sweet, so I decided on a tiny apple tart, but when I was getting the apples together, I looked out of the kitchen window and saw my beautiful ‘Queen of Sweden’ Rose, and ‘eureka!’ I decided on Apple roses! The exact ingredients aren’t listed as I just experimented as I was making them, and depending on the size of your apples, you could make more or less. 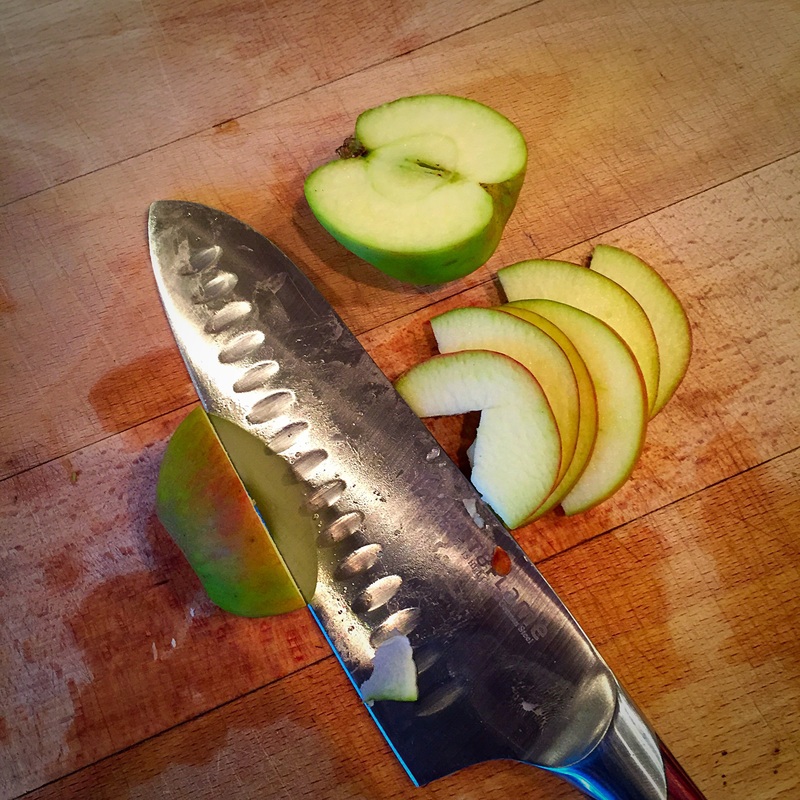 -Core the apples and chop them in half, then thinly slice them in to thin slices. -Place them in a microwave proof bowl with the lemon juice and cover with water to stop going brown. -Microwave on full power for 3/4 minutes, depending on the strength of your machine. You want the apples to start to go soft so they bend a little. Dry them well on kitchen paper. 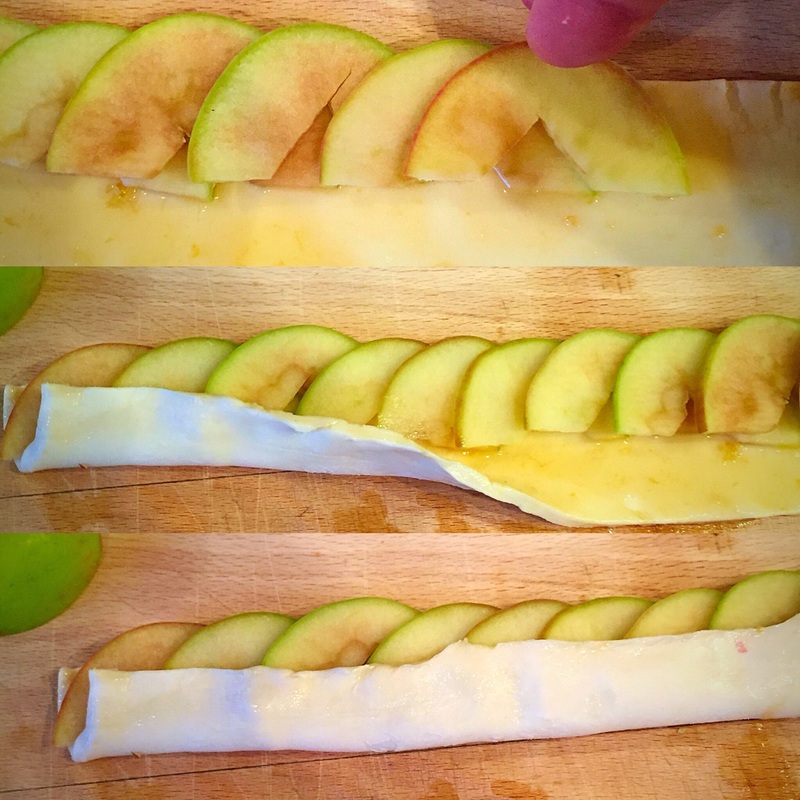 -Cut your pastry into strips, thick enough to encase the slices, but thin enough to let the tops of the Apple poke out. -Add 2 tbsp apricot jam to 1 tbsp water and heat in the microwave for 1 minute and mix well into a thin glaze. Glaze one side of the pastry. 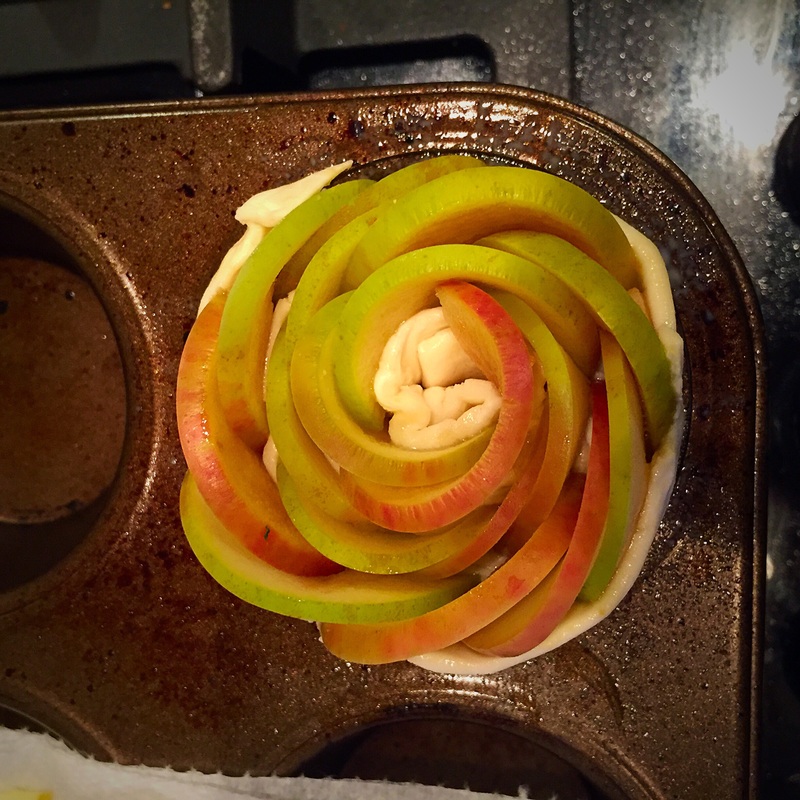 -Line the apples on the pastry, overlapping as you go, then fold the pastry over to almost cover the apples. 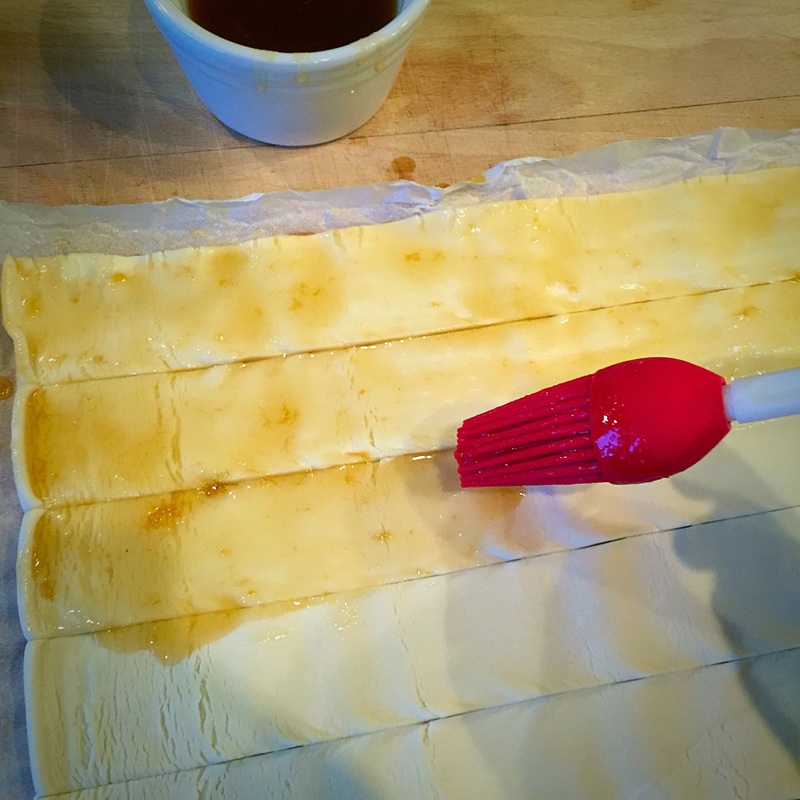 -Slowly start to roll the Apple/pastry ribbon in on itself, this will give you the flower pattern. 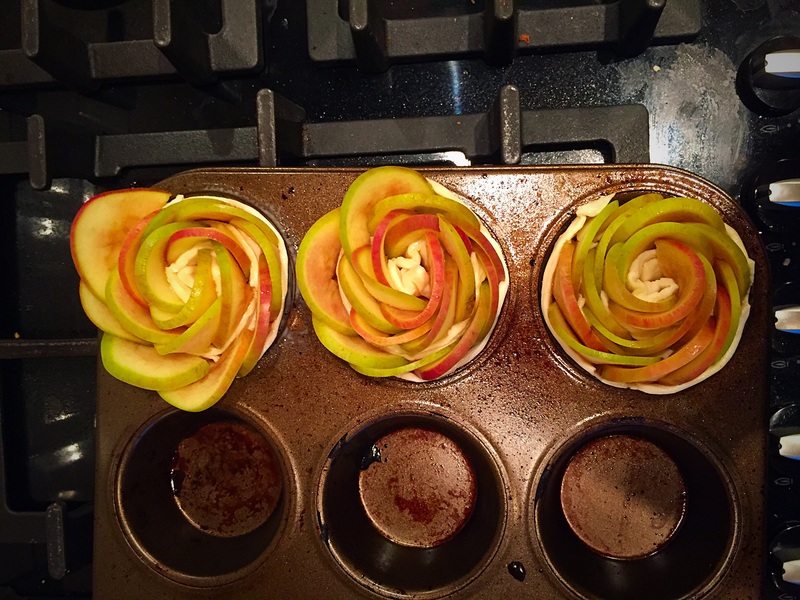 -Place in a bun or muffin tin that’s pre greased and bake on 160 for 20-30 minutes. -Depending on the water content of the apples, they may need longer in the oven to make sure the pastry is crispy, if they begin to catch, cover with foil and carry on baking until crispy. -Decorate with sugar, icing sugar or honey to add sweetness, or enjoy without for an appley sharp tang! 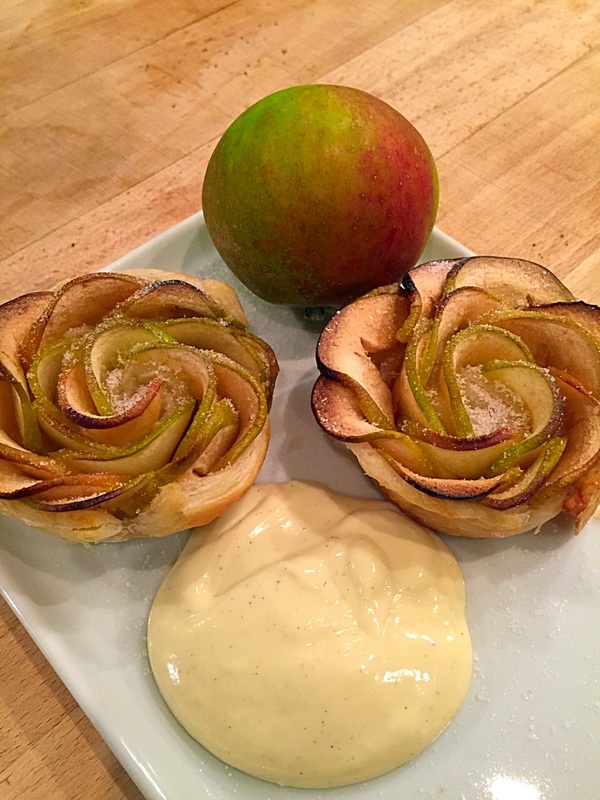 These desserts are so easy to make, it’s great to make with kids to use up some apples. ← Squash for all seasons!